E-mails, phone calls, Web sites, videos. They’re still all letters, basically, and they’ve come to outnumber old-fashioned conversations. They are the conversation now. The next day I spend writing letters. In many ways, this is my actual job. A part of me still rails at the idea the art of letter-writing could ever vanish, yet another instinctively attempts and is puzzled at why I cannot backspace and rephrase my choice of words as I write things out by hand. As I sit here in my father’s study, I ponder the notion of the gentleman farmer as an advocate for democracy. As a landowner myself, and a man standing at the precipice of a revolution, is this not naturally my own role? Many of America’s founding fathers considered that the truly free man is one who can live in a manner becoming free – to have a certain amount of leisure, but also not enough wealth as to have it consume one’s attentions. The kind of wealth that comes from lands is one in which did not take up much of one’s time and could be left to properly trained subordinates, and leaving the man free to pursue his own curiosities for civics and science. Perhaps the quintessential figure of the gentleman farmer in this era was Thomas Jefferson – author of the Declaration of Independence, the first ambassador abroad, activist, scientist, agriculturist, philosopher, polymath and visionary, he crafted with his life and ideals the model of American’s neo-classical virtues. He became the third President of the United States in 1801 to 1809 – a fine start to this century! In many ways he opposed the establishment of a new aristocracy that aped the mannerisms of the British Empire; the corruption of the cities, banks, and all businesses which sought to curtail liberty in the name of profit; he mandated free education, free press, free voting; encouraged religious freedom and tolerance; and well did the United States model itself and its themes on the Roman Republic. There was a romantic quality to the man who is chosen to wield absolute power, and to let go of it willingly to simply go back to the farm. Like Lucius Quinctius Cincinnatus, the very model of civil virtue. This, the yeoman republic, would not concern itself much with the pursuit of wealth or social ranks, but of moral insight. Above all things he valued liberty, and thought that even a standing army a threat to the freedom of its own citizens. He said: Our country is now taking so steady a course as to show by what road it will pass to destruction, to wit: by consolidation of power first, and then corruption, its necessary consequence. Which is, after all, true. This is how colonization works. The suppression of the people’s desire to decide what is best for themselves, is a necessary foundation for the continuing and effortless enrichment of the distant entrenched few. So how much bitter then, the resentment, for the enriched entrenched near? He died in 1826, a full thirty-five years before the Americans fought the Civil War and his vision of the agrarian economy found its flaw in the crushing economic and industrial superiority of the north against the more agrarian south. My spirit longs to emulate Jefferson, for the sigh of the barrios is the yearning call of the nation. A humble heart can be trusted, for it is to treat people as tools that is the beginning of evil. It feels a trifle arrogant to compare myself to a legitimately devoted polymath, but what else could I be with all this in my head? I am obligated to follow his example. I must feel deeply and truly for my people. But also my brain rings with the lessons of a hundred years sympathetic to the more cynical Hamilton. A nation must be strong in itself, or shortly it shall cease to exist. The people can want things to happen, but there is nothing that says the people will not be wrong. Prejudice can be cured, but it takes long doing. The pitiless machinery of industry wins wars, but how then can we expect anyone to first pick up the rifle and shovel if the call does not empower them? Slavery was not something he believed could be solved within his generation; and so it was in the next. Bloodily, brutally, but decisively. No wonder so many are drawn to brute simplicity of the strong-man culture, the all-encompassing solutions of monarchism and dictatorships. If all people would just damn well cooperate in the plan, then in this life we might even create the egalitarian paradise. Save for, of course, people inherently being predisposed to division. There is a strong tendency for dualism in society – the rich and the poor, the noble and the peasants, the oligarchs and the proletariat, the urban and the rural, white over black, man against woman, the norm and the degenerate, the oppressed and the enemy. It is a compelling theory. Yes: Fear leads to anger, anger leads to hate, and hate leads to suffering. The aggregate of minds within me really, really, really want to try out the campy overdramatic delights of a being a Dark Lord. Which is why it is fortunate that I have decided to found a media company instead. The second letter is to the Diaro de Manila, one of two daily newspapers in the country and the competitor to the La Esperanza, and widely considered the less boring of the two. Founded in 1848, it would eventually be closed in 1898 when the authorities found that its presses were being used to print revolutionary material. I asked if I might submit to them a series of articles with illustrations. If necessary, I would pay for the extra printing expenses. The first of these series of articles regarding submarines would be about the three different types of underwater craft – the semi-submersible, the fleet submarine, and deep explorer. The world did not yet have a proper submarine, most were simply submersible craft with limited depth, submerged time, and underwater navigation. The submersible had as its advantage its speed, being made to travel above the waves for most of the time. It requires much less complex construction. Among these one might find certain torpedo boats, the Confederate David-class submarines of the American Civil War, and certain others. However, just as fitting would be light pleasure craft and smuggling vessels. A proper fleet submarine however, was not a vessel for defense. Go further than just the thought of sinking the enemy’s ships at harbor or through the obvious passageways, it is for a silly ideal world and war is rarely ideal. No, the better to force the enemy’s action than to sit and wait! France’s Jeune Ecole, the “Young School” naval policy was a mix of fast torpedo boats and stealthy submarines, good torpedoes and other such devices to prevent the dominance of the battleship through a much cheaper force. But this has its undeniable flaw, that lives are not so expensive. Sailors must go out knowing they are disposable. Unfortunately there were severe technological challenges that must first be overcome, but the fleet submarine, properly supported with its own submarine tender ship, can penetrate any rival nation’s waters with near impunity. While coastal submarines can afford to be lone hunters, proper fleet submarines were best used as their own task forces. The simplest and with the most ability to stay underwater for the longest and deepest, was the bathysphere held steady by its mother ship above. This deep-sea diver was the larger, stronger and slower cousin of all submersibles. One would have to be stronger than Atlas to bear the weight of all the oceans, it would take the very bravest and most patient soul to dare the slow descent in a globe of creaking metal. All submarines have a crush depth; beyond which the pressures could no longer be resisted be the geometry of metal and the air within. A needle would survive being dropped into the deepest point of the ocean, but any gap, any vain pockets of air, would experience a crushing fist uncountable millions of tons strong. Thus, there were three main considerations for submarine duty. · Speed, both surface and underwater. · Endurance and ease of operation. The ideal submarine is thus a matter of compromises. What is most important to you? To me, the knowledge that man could attempt it at all was worthy of celebration. Sure, to conquer the air, that is the dream of many. But what comes up must inevitably come down, it felt a bit simple. Balloons alone had allowed us to reach up into the sky blue, and true heavier-than-air flight requires stronger engines to allow for more than one or two passengers. Passenger airships are in our future, it is inevitable, and personally it held little mystery to me. It was a matter of technical limitations. The lively depths of the ocean’s blue however, was a place so inimical to our air-breathing form of life we might as well be exploring another planet! It was so unknown, and so I love it! There was so much more to discover about the ocean, it was its own world eerie and beautiful, and so important to every living thing on this planet. The complexity of submarines, their relative slow speed, and their great utility for warfare means that few are the civilians who would be allowed to own them. Groups performing oceanographic research would find these civilian submarines be most useful in exploring shipwrecks and monitoring the natural resources available just off shore. They may dive into the abyssal depths and to behold the gape-mawed creatures that wait underneath, living where there is no light, glowing with their own uncanny luminance. Small hobby submersibles were within reach, as they are more for subsurface observation there is little need to enclose them in depth-resistant hulls. Most importantly, mapping good fishing grounds and protecting fish habitats was the key to rich sustainable harvests of the ocean’s bounty. All I required were some small waterproof motors and efficient screws so that the divers need to tire themselves out in their pleasant undersea voyage. The hull materials I could order forged or carved by local labor, and curved glass already on the way from America. It was a pity that in the Philippines there was no factory for the production of batteries in large quantity, for which I would have an endless appetite, but it was just as well since sulfuric acid was so poisonous and corrosive when improperly handled. Perhaps by next month, I would have ready the Ibarra Personal Submersible for a test dive in the Laguna de Bay. And then, if it works, the patent papers which I already have ready would be filed. 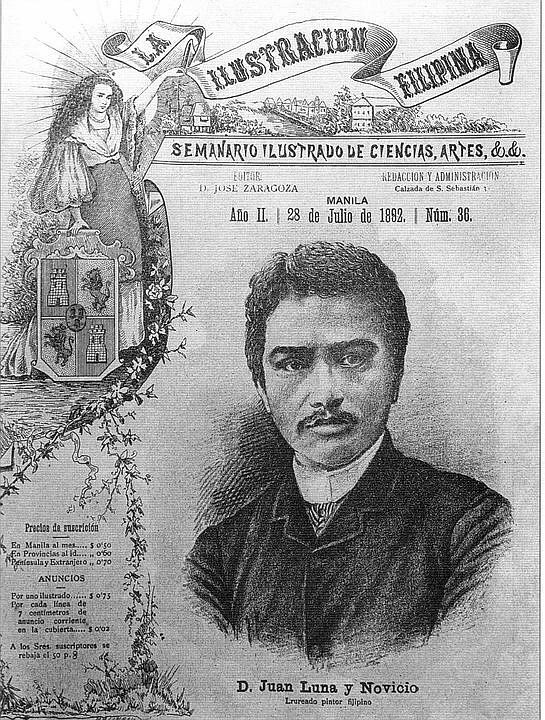 Also, there was that a certain Enrique Lucio Eugenio Gaspar y Rimbau was at some point a correspondent for the Diaro de Manila. The year is 1887, and in this same year I expected him to publish “El Anacronópete” – Who Flies Against Time – a Spanish science fiction novel about time travel. It predates by a year H.G. Well’s first story in said subject matter, “The Chronic Argonauts”. From Diario de Manila,I could ask for more contacts for my mailing list. The third letter is to young Señor Mata, expressing similar content as the letter prior. He had revealed to me that the next on his itinerary was mysterious exotic Zipang. More germane to my interests, while said land had rather lackluster iron, they were driven by a hunger for good steel. They imported raw ore and coal and produce some high-quality alloys – and I required a particular form of high tensile steel for my future submarines. There was little to fear from someone taking the hullform and making a better submarine with it rather than all the present bulbous designs, because it was an obvious development. If you want a bigger submarine, of course you would want to put the ballast tanks outside your main hull, and then wrap it up in a more hydrodynamic shape. I doubt this would somehow butterfly away Tsushima, wherein the Japanese Imperial Navy would soundly defeat the Russian Empire’s fleet. It was the first victory of an Asian power against a white Western one, and established Japan as the sixth great naval power. With their skillful use of wireless communications for naval coordination, and emphasis on long-range fire by big guns, it ushered the grand old age of battleships and the almost literally mad phase of research, development, and construction of the post-Dreadnought era. A nation’s number of battlewagons directly reflected its prestige, and nothing would compare to their mastery over the waves until the arrival of the carrier. But also a short while from thence only the pre-eminent role of the nuclear bomb would stand higher as proof a nation’s might. A mighty fleet tempts one into using them. The Philippines cannot afford any part of that i̶n̶s̶a̶n̶i̶t̶y arms race, haha oh no. Another to the Jesuits, for it was a Jesuit educated priest in Brazil that made the first voice transmission over radio in 1900, and the Jesuits run the Manila Observatory. I hoped to make an appointment to visit them, though this might sound a bit suspicious to the other religious orders in the country. The Jesuits do have a certain reputation for spycraft and intrigue. There were many common scientific interests we could speak about. Perhaps they would be interested in oceanography and a theory of plate tectonics. Where many orders in this country dealt with matters of faith and the practical, now only the Jesuits really considered science as a part of the Christian service. My baggage has already arrived from Manila. Included within the crates are some steel frames, piping, , a pump, and a large vessel with valves. Another contained bottles of liquid ammonia. These are the parts required to make a small ice maker. Another crate had lead plates, bottles of sulfuric acid, and a ceramic casing. All the parts for several lead-acid batteries, separated for less complications during shipping. Yet one more crate contained more steel piping, copper wires insulated with asphalt-impregnated cotton cloth, a dynamo, and a small steam engine. The shipment is addressed as courtesy of the McEiling Valley Trade Company. Yeees. This person was meant to be the recipient of the first letter I had written that morning. Well again I was relieved that this person was two continents away. I can feel the unconscious stirrings across the centuries, some avowing that I was still better off doing this alone, while others saying that I should have asked for more advantages at the start. Googol only tilts his head to the side. He still has no sympathy whatsoever about anything. He rolls over to present his belly to be scratched. I crumple up a page into a ball and toss it. Googol races after it to fetch. Another letter to the Dominicans, specifically to Padre Sybila of San Juan de Letran. I could have written directly to the Archbishop of Manila, but this was not yet such an urgent matter. It was a simple question of doctrine. So I wrote to him the events of two days ago. Then that Padre Salvi had refused the burial of a man slain by the Guardia Civil not just in his hometown, but anywhere. Does he actually have the authority to do this? Even common criminals have a long custom of being given a Christian burial. True, we could simply have buried him somewhere, but without a priest’s blessing on the grave it is doubted that his soul would be able to find heaven. I was very puzzled with the declaration so I had ordered the corpse pickled in wine until we could figure out this doctrinal issue. But my good intentions are getting me strange looks from the townsfolk, so please, I would very much appreciate any counsel for this situation. I sigh and look to the side. I am a man of science, ghosts do not exist. Unfortunately I seem to have forgotten that my mere existence is already a supernatural phenomenon. Pedro, yes. We will have you buried, just wait a few more days. The broadly muscular dark man with bloody clothes glares at me. Unlike what the Japanese legends say, ghosts do have feet, it is very notable to me that he is barefoot in death as he was in life. He is less transparent than just very blurry as if always in motion. Like wisps of matter being thrown off and then combining again. Pedro, no. The ghost attempts to kick Googol who is snapping at his ghostly essence, but his leg just passes through the dog’s head. Not one of the corgi’s hairs are even disturbed. He just sits on his haunches with that stupidly pleased look on his face. I guess all this could still be just a hallucination. I may simply be functionally insane, this an expression of my guilty conscience. And since this dog can see my hallucinations, you the crazy dog. Jung. Jung. Jungjungjungjung. Jung. Jungjungjungjung. Damnation, now I have that tune stuck in my head. [Googol] stop helping. It is sad to think that I would probably be a lot more unhinged and even more prone to jumping the gun without a therapeutic pet. I wonder – as Freud lives in this era, maybe I should also ask his opinion about this. It is nearly noon. I have been invited to have my lunch again at Old Tasio’s house, that I might finally address the lives I have ruined with my nonchalance.